Poll: Is it time to cut your KitKat phone loose? Some of us have Android Marshmallow, some of us have Android Lollipop and an awful lot of us still have Android KitKat. The way Google rolls out updates is far from perfect and so it’s no surprise that not every device is up and running with the latest Android version. But does that mean it’s time to let go of your KitKat phone? 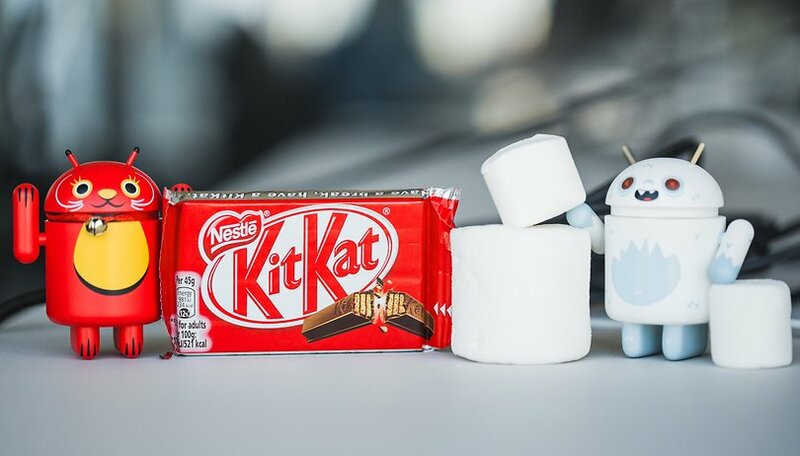 Android 6.0 Marshmallow update: which phones will get it and when? There are a few problems with older smartphone OS versions. One is security: more ways to exploit software are discovered all the time, and once Google ceases to support an operating system, you're on your own. Another problem is that smartphones running older software tend not to perform as well as those with newer software. There are exceptions, crippling bugs, etc, but at this point, Android Lollipop is running fairly steadily. Lastly, Android Lollipop and Marshmallow have a handful of unique and interesting features, which you just don’t have access to with a phone that is stuck on KitKat. Features like Google Now on Tap, and the recent apps menu, to name just a couple. So my question to you is this: if your phone is stuck on KitKat, and won’t be updated, do you think that now is the time to abandon it? If your phone is still running Android KitKat, is it time to upgrade? Let us know why you do or don't think it's time to drop your KitKat phone in the comments. Lolipop's my favourite feature is mannual camera controls. Lollipop and now Marshmallow. In day to day life when you use your device you will not feel substantial difference. Whether you are on KitKat or Marshmallow all you need is that your phone should remain safe and deliver hassle free performance. When I updated to Lollipop I faced so many problems. It's better to keep things simple. Although I'll be replacing my Galaxy Tab 4 only because of that, I voted no. It was the lightest Android version that had very low minimal requirements, so it ran crazy fast. Battery life was perfect, and Holo theme was beautiful. Lollipop and Marshmallow still perform TERRIBLY compared to Kitkat, especially in former flagships, not least of which boils down to battery life - there are stats that said battery life has effectively HALVED or even worse. So if your phone is "still stuck" on Kitkat, be thankful because you can probably use that for longer. I'm using a Samsung Galaxy S3 that has MetroPcs as a carrier, but is a T-mobile phone that I now know will never be upgraded past a 4.3,and I think that is really not right ,and I would like to upgrade to a different phone ,but I don't have about $700 give or take just lying around to go out and buy one of the newest phones ,and so, I am stuck with the one that I have for the time being .I think the amount of money to get a really nice , new, Android phone you need to spend is pretty ridiculous TBH. Depends on whether you have a custom skin or not. Miui looks, and is, awesome on kitkat. Also, the oldest phones have the most and best roms available. So, maybe not. I am not about to give up my S3 even though know it will never get Lollipop let alone Marshmallow. The are tablets that sold with KitKat installed. I had hoped to update my Moto X (2013) to Marshmallow, but Lenovo decided to 5h1t on Motorola. After reading numerous complaints of bugs and slow performance following the Lollipop update, I am willing to risk not getting security updates. Another reason I chose not to update is that I hate Material Design.